The police in Pakistan lack legitimacy, professionalism and above all, political space to move towards democratic policing. Pakistani police has been politicized by politicians. Would the Pakistani military and the paramilitary forces be performing the policing and anti-corruption function had the police and affiliated institutions been autonomous? Would the police be more professional and effective had the political elite supported the Police Order 2002? Perhaps yes. Should the police have a federally unified service structure to be able to effectively fight the religion-motivated trans-nationalist monster of radicalisation? Can the police today really cope with the multiple crises that the Pakistani society is caught up in? And would the police in Pakistan be able to work as the primary bulwark against crime, corruption and terrorism without real political will? Probably not. This is the conclusion of two recent publications on the correlation of governance, counterterrorism and the police. The rise of terrorism and the increasing reliance on the police for governance issues, including massive protocol duties, have only added to the problems that the police faces. 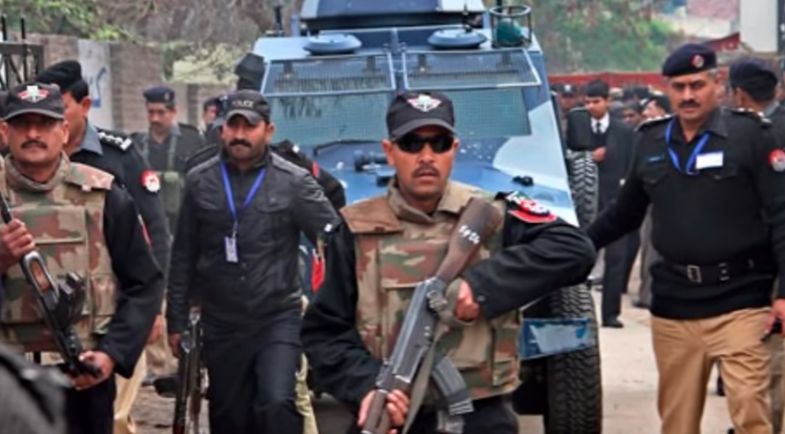 Two recent research studies, “Politics of Police Reforms in Pakistan” (Rozan) and “Counter-Terrorism and Pakistan Police: capacity and challenges” by the Center for Research & Security Studies Pakistan, have attempted to highlight how the absence of political will and resistance to reform from within has stunted the growth of a professional, people-friendly deterrence force, and instead has rendered the police as a feared, rather than favored, state institution. These studies draw on the rich experience of prominent working and former police officials and jurists, and underscore that following the tragic events of 9/11, Pakistan had the opportunity to strengthen, standardise and harmonise its policing laws that rested on the Police Act of 1861. General (retd) Pervez Musharraf did attempt to bring about some change through the Police Order of 2002. But subsequent changes to the Order in 2004 defaced it. Also, Balochistan and Sindh went back to the Act of 1861, while Punjab and Khyber Pakhtunkhwa continued with the Order. The author of one of these reports, Ehsan Sadiq, has very meticulously analyzed the 1861 Police Act and the 2002 Order and in fact risked annoying higher-ups by openly attributing the ills within his department not only to the ruling elite but also to senior police leadership. “The first and foremost prerequisite for success of any effort to reform the police is, therefore, the willingness of the political leadership to let police function as an apolitical, neutral and professional organisation. Without political commitment and will any reform effort will have limited success. Besides a political consensus on the police’s operational autonomy, the police leadership itself would need to initiate a series of reform measures in key performance areas,” underscores Sadiq, one of the few thinking officers within the police force. Sadiq lists four reasons for the failure of the Police Order 2002: absence of political ownership of reforms, lack of institutional capacity for implementation, lack of focus on the police station, the primary point of service delivery, and lack of civil society and community support for the initiative. He argues that the ill-effects of bad governance and failure of other state institutions end up putting “enormous strain on the police’s ability to deliver”. Marginalization of the police by politicians, the bureaucracy, judiciary and other law-enforcement organizations has further exacerbated the quality of policing. Resultantly, the police in Pakistan lack legitimacy, professionalism and above all, political space to move towards democratic policing. Dr Shoaib Suddle, a former provincial chief and the head of the Intelligence Bureau, agrees with some of the conclusions Sadiq reaches. Recruitment must be merit-based, recruits professionally trained, and postings and transfers based on best practices, according to Suddle. Both gentlemen demand a comprehensive reform of the existing police service structure as well as the legal justice system regulating this institution. These studies make it abundantly clear that without: a) depoliticising the police; b) giving it operational autonomy; c) bringing meaningful reforms to the service structure; and d) reforming the legal justice system, the police would remain compromised and subject to the whims of politicians and the bureaucracy. And all this won’t come about without real political will. This article first appeared in The Express Tribune. Click here to go to the original.